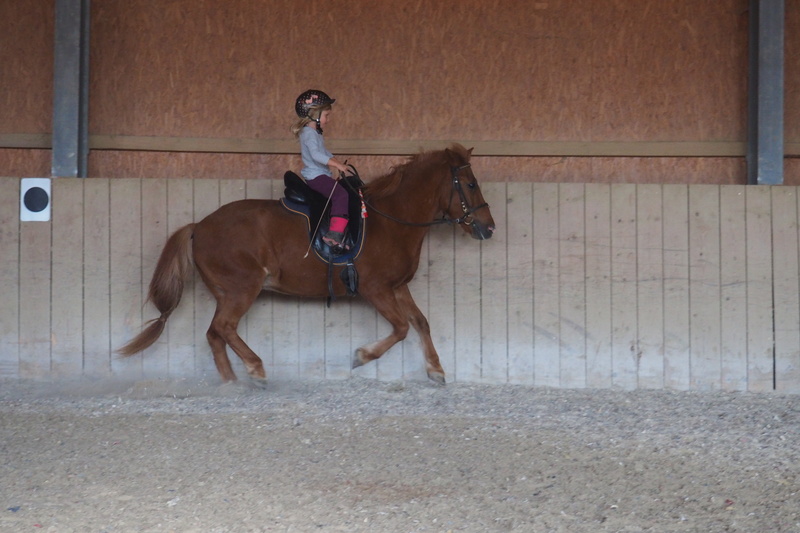 At the age of six, I had my first vaulting and riding lessons. From that time on, I anxiously looked forward to that day every week . From that time on, the fascination of horses and being with them never got away from me! In my riding career, my traditional training in dressage and show jumping went more and more in the direction of classic riding. My future with horses was clear from the moment that I read my first book from Nuno Oliveiras. 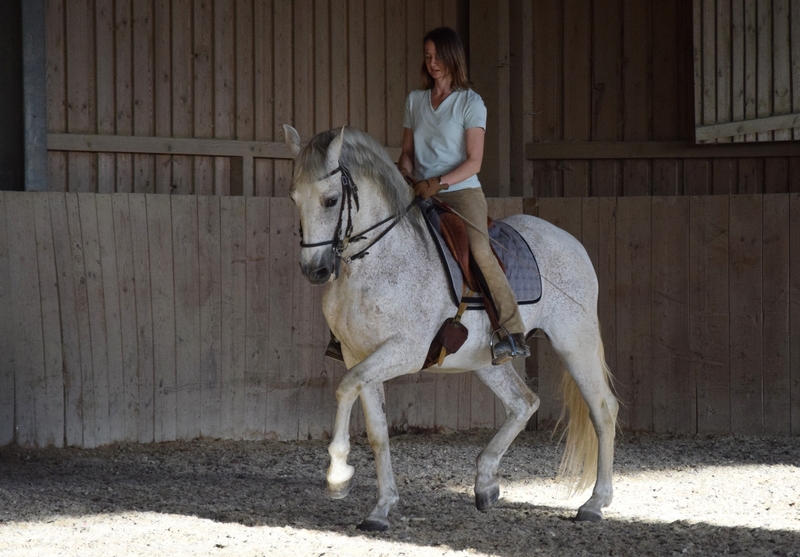 After training with Marjorie Armstrong, a student of Nuno Oliveira, the fascination for this special riding led me in 2003 to Anja Beran in the Allgäu, under whose guidance I was able to gain in-depth knowledge and experience in horse training (Beritt Iberian horses, Frisians, Arabs, etc.). 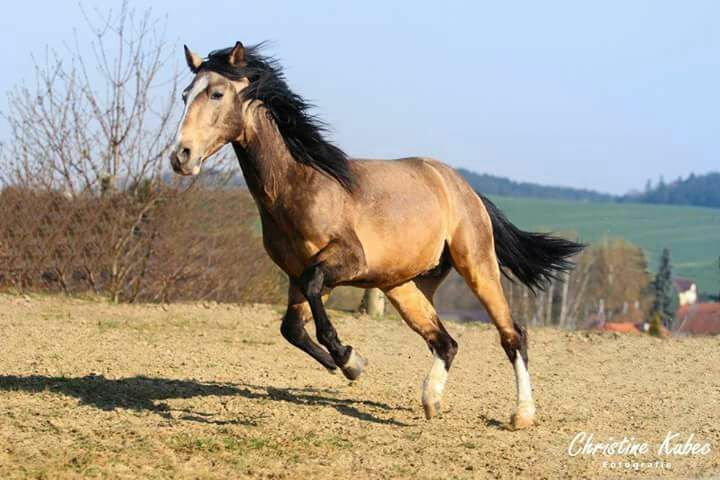 After my return to Austria in June 2005, together with my then husband Sebastian Görlich, I began to train horses first in the Vienna area and then in Steyr. At the same time, I completed my Omnipathin (R) training and began working in my own practice, understanding more and more biomechanical relationships. 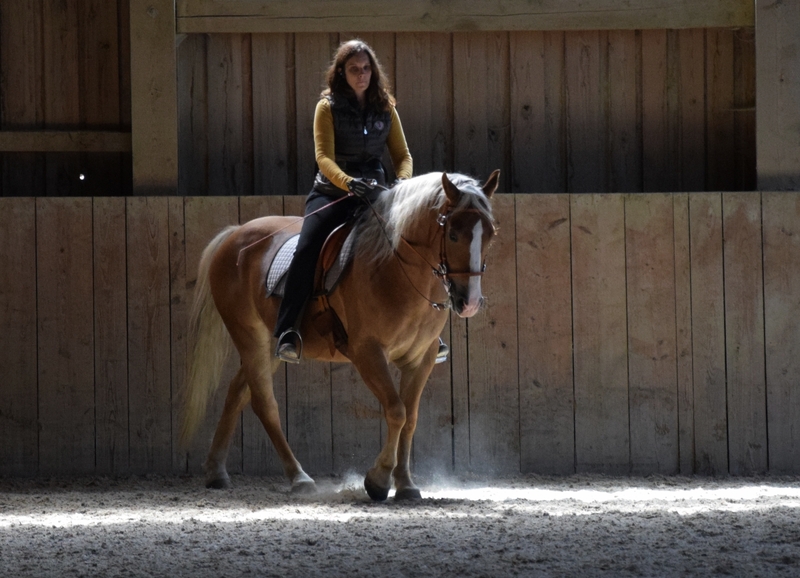 And it is this combination – the knowledge of an equine gymnastic policy that corresponds to anatomy in connection with equine riding and regular osteopathic care – that leads to the result where horse and rider enjoy themselves. A true rider knows that a lifetime is not long enough to really learn horsemanship. Working daily with the horses is a means of constant new experiences and learning! I am also very grateful for Marc de Broissia and Eddy Willems who support me and always make new opportunities for me. I came to ZENTAURUS by chance. Since I was more of a fan of Western style riding, I felt a little strange at the beginning with the “classic riders”, but then realized that it doesn’t matter which riding style you prefer. For me, “classic riding” means to properly practice your horse not which saddle you sit in! 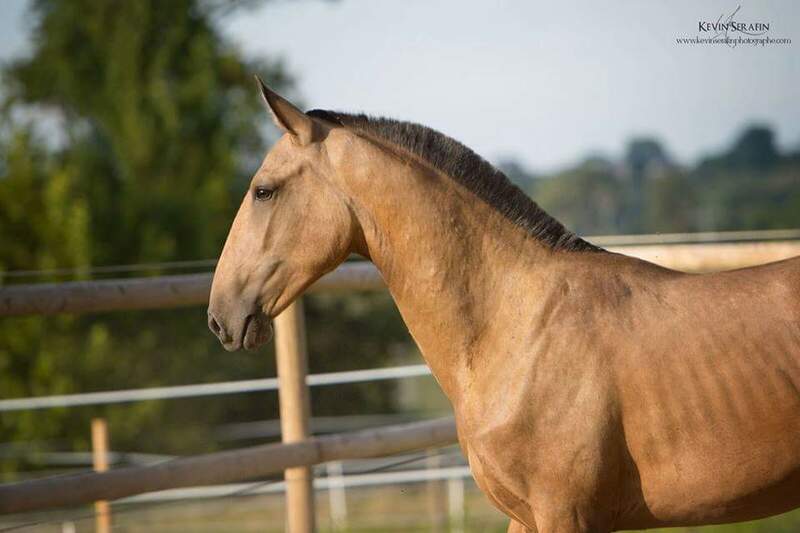 At the moment, I am attending the 3-year course at ZENTAURUS Academy and learning the importance of gymnastics for my horse and to build and maintain the right musculature. My horse has become very eager and willing. And that was far from always being the case (Haflinger;))! I am responsible together with Heidrun to run the business on and around the farm. A so-called “grazing accident”, a cross between Haflinger and Quater, so a Quatlinger, who shows himself to be excellent in our classical training! He is no longer just willing, but enthusiastic at work and always ready to give his all. 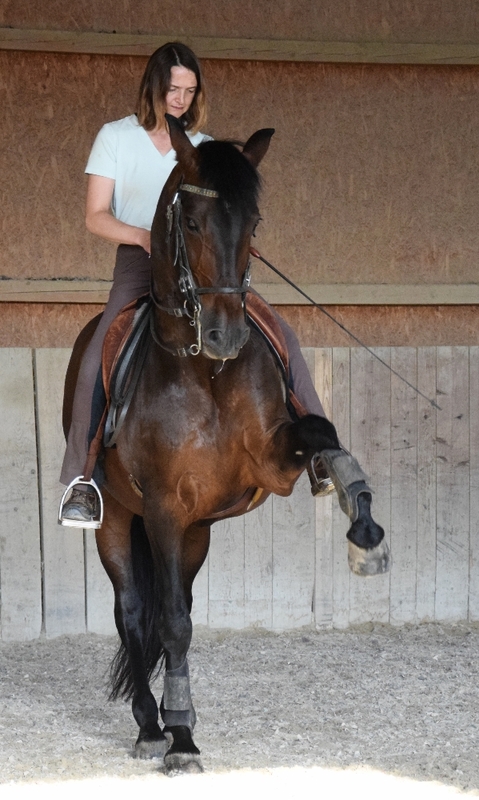 He is unmistakably happy about successful exercises and enjoys praises from his rider. PRE from Spain, born in 1999. His young & formerly overabundant temperament has turned into a pleasant motivation and has become a willing partner with a smile on his lips! PRE from Mallorca, born in 1999. He came to Austria at age 6 and having only ridden a little. He is very focused on his rider and wants to do everything right. He is all the more despondent if he thinks he cannot succeed. I’ve learned to take myself back at the right time, as his rider, waiting for him to have confidence on his own. Some moments we have the connection where only quiet breathing is enough to communicate. 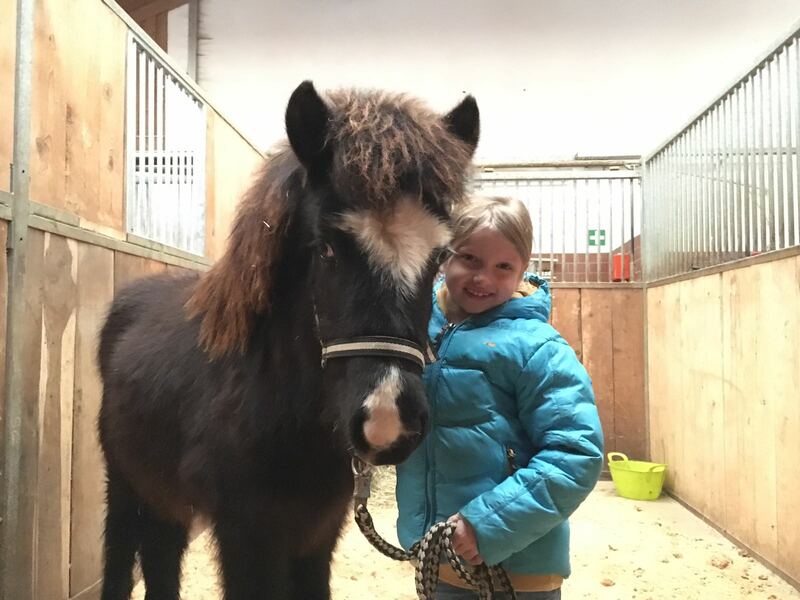 An Icelander horse for our young rider Lucia … we couldn’t have found a better horse for kids! Patiently but also lively enough, he carries his rider through the hall and preferably in the gallop. But even with all the children’s fun, he isn’t bothered by it too much. At the same time he is a real small, lovable personality and claims his rank in the group! Ilustre came to us from Portugal in January 2017. Probably the bravest horse ever to ride here! But also beautiful, people-oriented and extremely willing to work. Just as he currently presents himself we expect he will continue in the future. 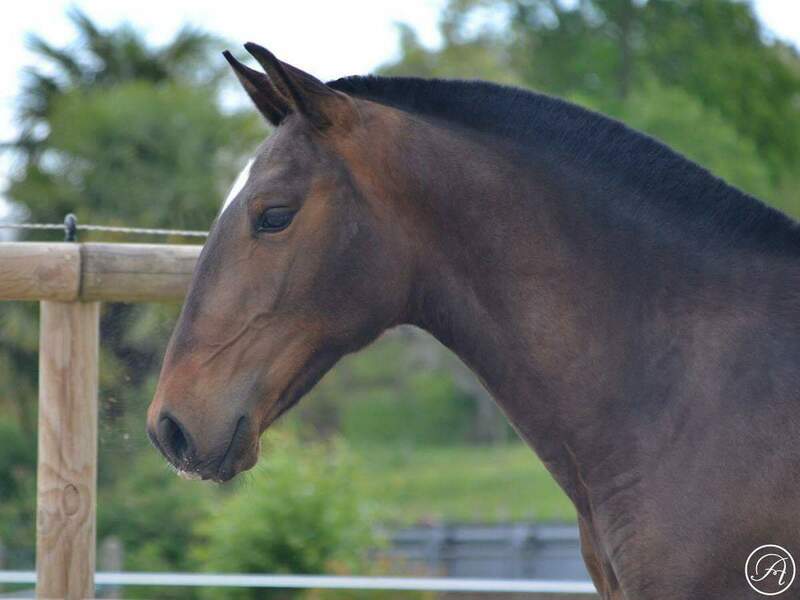 He comes from the French breeding of Elevage Arribe and came to us in December 2016. He spends the entire year with the other two young stallions in the open stable. 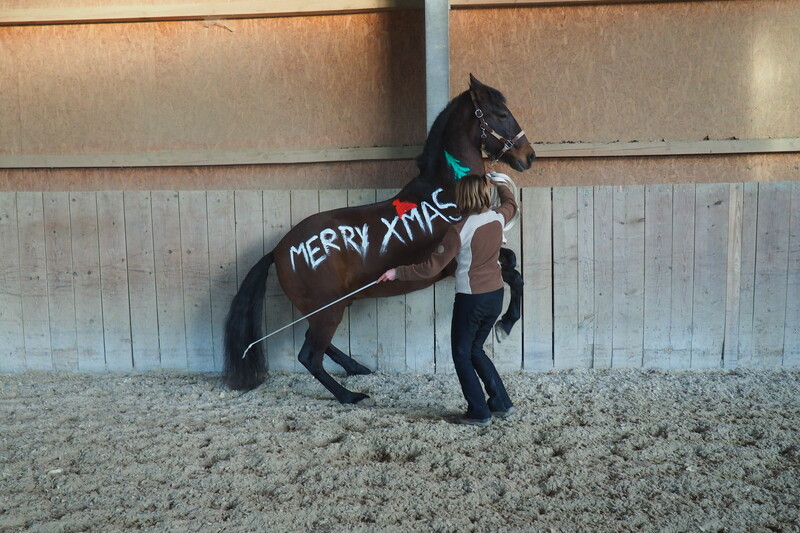 He learns the ABC’s for young horses and shows himself very docile. We are curious how he will develop! He is also from Elevage Arribe in southern France. He shows unbelievably harmonious movements and fascinates with a slight Ram nose and big eyes. – a head like on an old painting! The smallest of the group, but very big on the inside! His self-confidence and courage are quite fascinating and his curiosity is infinite!